Defending his party's stand demanding capping of GST at 18 per cent, senior Congress leader and former Finance Minister P. Chidambaram on Thursday hit back at Prime Minister Narendra Modi for calling it a "grand stupid thought" and asked if the government considered its Chief Economic Advisor Arvind Subramanian also stupid for voicing the same argument. "If it is grand stupid thought to argue for a cap of the tax rate at 18 per cent, then CEA Arvind Subramanian and many other economists are stupid. 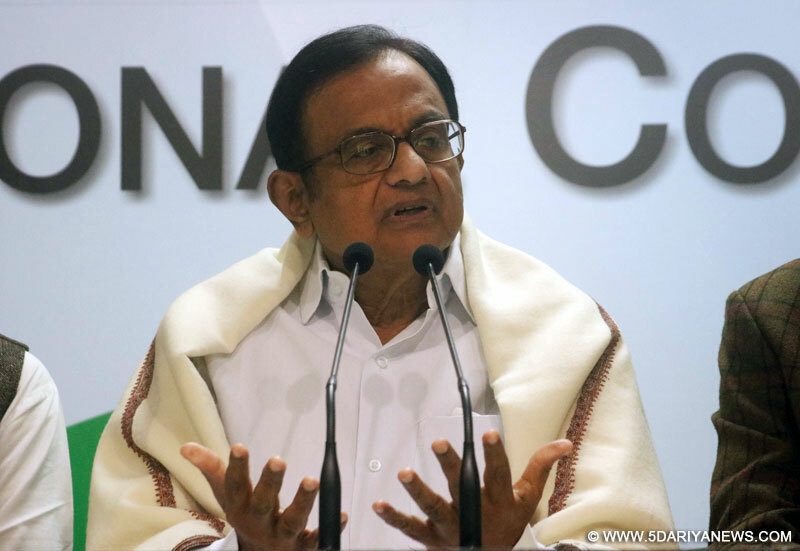 Is that what the PM is saying," Chidambaram tweeted.The Congress leader asked if the Prime Minister had read the economic advisor's report on Revenue Neutral Rate in which he had recommended an RNR of 15-15.5 per cent. "Why can't the normal GST rate be 15 per cent and RNR plus rate on luxury goods be 18 per cent? Tax and spend is the credo of the BJP government. Example: when crude oil prices fell by 50 per cent, prices of petrol and diesel remained the same. "Modi at a rally in Gujarat's Morbi had mocked at "some intellectuals and economists" for misleading the country. "The Congress wants the same 18 per cent tax on something as essential as salt and something as expensive as Rs 5 crore worth car. They want 28 per cent tax on alcohol and costly cigarettes to be reduced to 18 per cent. "Do you want to sell cheap alcohol and spread cancer by selling cheap cigarettes. This is nothing but a grand stupid thought. There can't be any bigger anti-poor and anti-middle class thought," Modi said.